Aaren: NextUp is a program developed by the California Community College Chancellor’s Office to support foster youth on community college campuses. It is currently in place at 10 districts around the state. Specifically, the program supports community college students who were in foster care at the age of 16 or older. This means they were removed from their parents’ home and placed in a foster home or a group home. Unfortunately, foster youth have abysmally low college enrollment, persistence, and completion rates compared to their general population peers, so it’s important to provide them with as much support as possible so they can be successful in college. KRL: What are the things you do for these students? Aaren: We provide an incredible amount of support to our NextUp students through what we call “intrusive counseling.” The most important components of the program include personal and academic counseling. On average I see students about 10 times a semester and some students I see 20-30 times per semester. We have an extremely high level of student-counselor contact. In addition to personal and academic counseling, students also receive assistance with applying for financial aid, scholarships, CalFresh, and assistance with searching for jobs, housing, and transfer colleges. NextUp students also receive a lot of monetary support as well. Students receive gas cards every month, meal cards for use at our cafeteria, and book vouchers. We also provide emergency grants for housing, auto repairs, and other needs on a case-by-case basis in order to try to reduce and eliminate barriers that may keep a foster youth student from remaining in school. One of the biggest challenges foster youth students face is housing, and we are very fortunate to have a Residence Hall on our Reedley Campus. 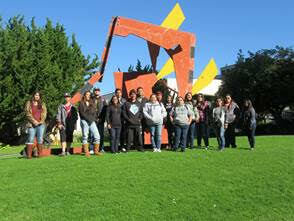 Of the 30 NextUp students on the Reedley Campus, nine of them live in the Residence Hall. I work closely with the Residence Hall manager to support our NextUp students while they’re staying there. KRL: Do you help those who are 16 as well, or just when they are of college age? And what is the oldest that a student can be involved? Aaren: Any student who had an open foster care case at the age of 16 or older is eligible, and they can receive support through the age of 25. So we have some students whose foster care case closed at 17 but they are in the program, and other students who are currently in extended foster care at the age of 20, and they are participating in the NextUp program as well. KRL: When did this program start? Aaren: Reedley College started NextUp officially in March 2016. It was a late start due to when the legislation creating the program was approved, and there were definitely some learning curves in getting it up and running, but I feel like the program is hitting full stride this year. KRL: How did it come to be? Aaren: The NextUp program was created with Senate Bill 1023, which allocated $15 million to start the program at 10 districts across the state. The legislation shows the state’s dedication to supporting foster youth on college campuses. Of course, there was a lot of work behind the scenes, specifically the John Burton Advocates for Youth (JBAY) who have been working for years to pass legislation to support foster youth. We continue to work closely with JBAY to develop NextUp and share best practices. Reedley College and the sister colleges at State Center Community College District were selected to participate in the initial roll-out of the program because of the history of support of foster youth on our campuses, and the relationships established with the Fresno County and Madera County offices of education. KRL: How and why did you become involved? Aaren: I found my calling when I first started working as a tutor at the Reedley College Disabled Students Programs and Services office. I loved helping students learn and grow both academically and personally. Over the last eight years I’ve earned my Master’s Degree in Rehabilitation Counseling, and a Doctorate in Educational Leadership while working as a tutor, instructor, counselor, and social worker. For the last four years I’ve worked exclusively with foster youth as an Educational Liaison at Fresno County Department of Social Services, and now as the NextUp Counselor/Coordinator. I feel a strong connection to helping students as much as possible because it’s everything I wish I would have received when I was going through college. I am a first-generation student, and it took me six years to get through community college and transfer to Fresno State. This was largely because I had a lot of learning to do in all areas of my life, not just education and navigating the college system, but also because I was told to go to college, but not how to get through college. So I try to help my students by sharing all of the lessons I learned the hard way. I come from a divorced home, and my mother was placed in an orphanage when she was young. As I look at her life, it’s very easy to see how her experience in the orphanage and her relationship with her parents impacted every area of her life, and, subsequently, the impact that had on me. My mother worked very hard to provide a better life for me and she is responsible for the drive I feel to improve the lives of my students. I draw on those experiences to relate to my students and provide them with the support and guidance they deserve. KRL: Why do you feel it is important? Aaren: I help my students with anything and everything they ask of me. If I can’t help, I try to find someone who can. If I don’t help them, then who will? This program is very important because the connections we make with students and the supports we provide are very often the difference between whether or not a foster youth student stays in college or drops out. 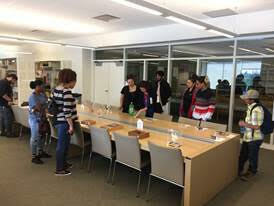 A lot of students have a parent to go to if they need help with food, or a financial aid application, or buying a book. In some of the best case scenarios, our NextUp students have a grandparent or a really good foster parent they stay connected to after they exit care. But even then, it’s just not the same as being able to ask a parent for help. We will never be able to replace that, but at least with NextUp we can create a reliable support system for the foster youth students on our campus. KRL: How many students are involved? Aaren: We currently have 50 students enrolled in our program across our Reedley, Madera, and Oakhurst campuses. KRL: How many staff members are involved or is it just you? Aaren: We have five staff officially providing support to NextUp students: Olga Garcia, our administrative assistant at EOPS; Mario Gonzales, EOPS Director; Christina Cazares, NextUp Educational Advisor; Ryan Preciado, Counselor; and myself. We also get a lot of support across our entire campus from our Residence Hall Manager Lisa McAndrews, and from the special liaisons in our Financial Aid and Business office, Amber Fowler and Linda Nies. I end up asking for a lot of favors from the staff on our campus because of the incredible number of barriers that foster youth face in just getting here, much less staying and being successful. All the staff on our campuses have been extraordinarily supportive of the program and our students. KRL: How do you connect with these students? Aaren: We connect in many different ways. 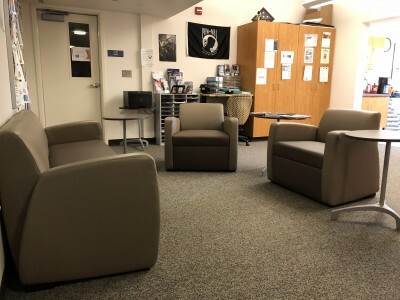 We have an area in our student center (where my office is located) that has couches, chairs, and a computer lab. I meet with students there for our required appointments, and I also see them stopping in to work on assignments and use the printers. In addition, I have an app with a text message phone number; I send text messages to students and students can text me whenever they like. In the spring semester I visit high schools and meet with potential new students to talk about the NextUp program and get them signed up. Once in the program, students are required to meet with me a minimum of five times per semester but often we go way over that requirement. KRL: What other campuses have this program? 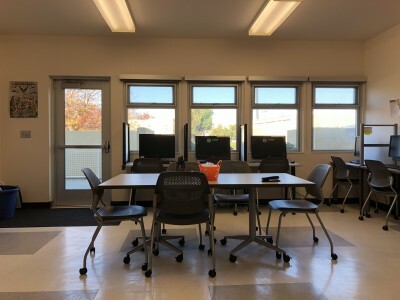 Aaren: Fresno City College and Clovis Community College have the same program and the program is also run at Reedley College’s Madera and Oakhurst campuses. Aaren: Two stories stand out. We had one student who was essentially homeless in Madera. He had some success at our Madera campus, but his grades were suffering because he constantly had to focus on where he was going to live. We got him moved into the dorms on our Reedley campus, and with that stability he has made a significant turnaround. In the Spring 2017 semester he had a 3.0 GPA and he regained his eligibility to receive financial aid (which has a 2.0 GPA or higher requirement). Where would that student be if we didn’t have the NextUp program and all the supports it provides? This student’s situation exemplifies the purpose of the program and the impact it can have. The other story is a former NextUp student who graduated in May 2017 and transferred to Fresno State. Her story is featured on the NextUp website and is on the California Community College Chancellor’s Office website. Scroll down to About the Program: www.youtube.com/watch?time_continue=1&v=j-IrL5IbKXM. KRL: What is the hardest thing about what you do? Aaren: Every one of my students is so smart and resilient; they have so much potential and I know without a doubt they can be successful. The hardest part is getting them to believe in that potential and put the right actions in place to execute that potential. The transition to college is difficult for any student, but there is a steeper learning curve for NextUp students because all of the challenges life has thrown their way. They are simultaneously trying to learn how to be a college student while learning how to be a young adult with new-found freedom. This is all with very little to none of the training that most students receive organically through their parents over the course of their childhood. Even with all of the supports in place to support foster youth as they transition into adulthood, there are still an incredible number of barriers that they face. But these challenges make their successes and resiliency even that more impressive. KRL: What is the most rewarding? Aaren: I feel like I have the greatest job in the world. I don’t think I could point to one thing as the most rewarding. Practically every day I have an interaction with a student where I feel like I’ve helped them and it’s incredibly gratifying. Other rewards are as simple as seeing one of our students at the computer lab typing a paper for their English 1A. It’s a small thing, but a lot of work went into recruiting that student, supporting them, and creating a space for them. Then there are things like watching a student mature over the course of a few semesters and figure out how to be successful in college. A really big reward is sitting down with a student to fill out their transfer application to Fresno State. It’s an amazing experience for me and the student. All of these things add up to really make it feel like we are making a difference for the students on our campus who face the most and biggest challenges. Aaren: There are a few things I’d really like to get into the program. My hope is to set up some holiday events for Thanksgiving, Christmas, and Easter so NextUp students can get together and enjoy a holiday meal. I also hope to establish a mentoring program as well. These things take a lot of time and effort and I hope to get to them in the near future. KRL: Do you have fundraisers? Aaren: We haven’t done any fundraisers but we do work with an organization called City Without Orphans that solicits donations from community members and provides dorms, school supplies, kitchen supplies, and food for the pantry we have located in my office. We also work with Redeemers Church across the street to get food donations for our students. KRL: Are there special events for these students? Aaren: We participate in all of the major college events at Reedley College. 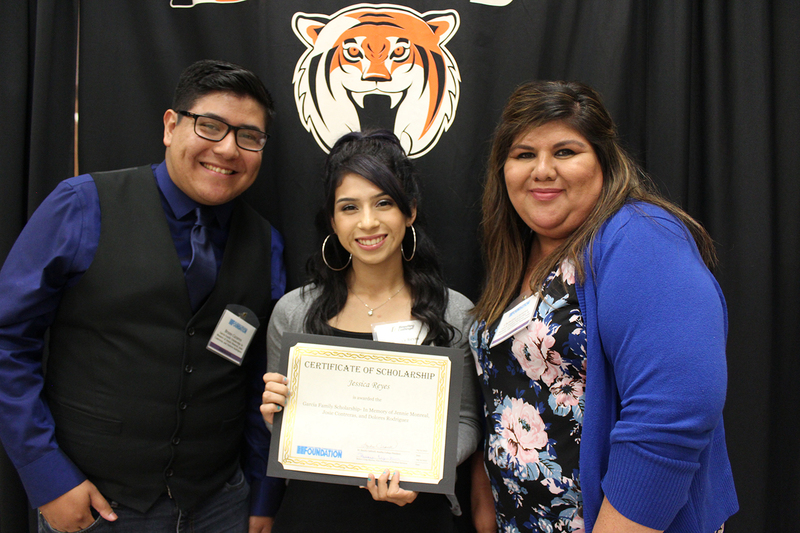 Last year we had a category created for the Tiger Awards so we could honor a NextUp student with a Tiger Award. We also participated in the Scholarship Award ceremony last year where we had seven NextUp students receive over $6,000 in scholarships. KRL: What can the community to do help? Aaren: I’d be happy to have community members reach out to me with any thoughts or ideas on how to support our students. 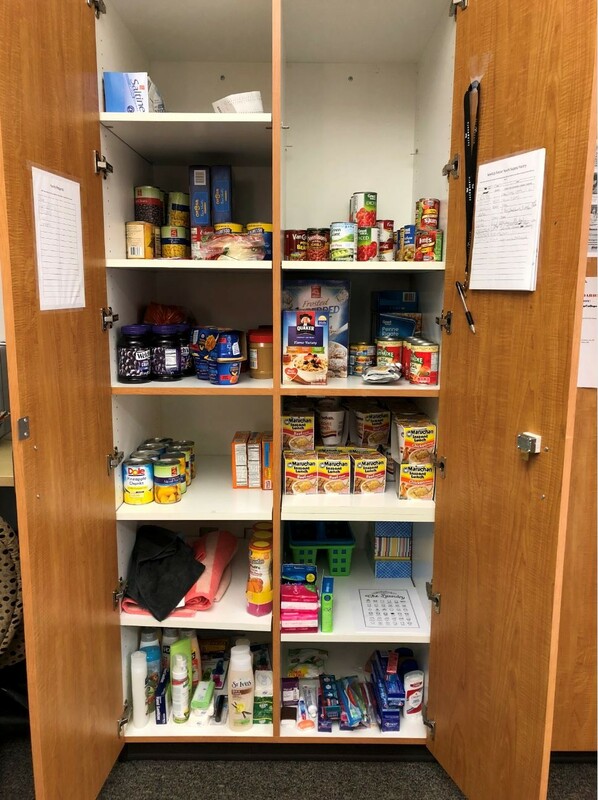 Unfortunately, food insecurity is a significant issue and I am always looking for donations to keep our pantry stocked with food as well as personal hygiene supplies. Aaren: The NextUp program is only two years old, and I’m really excited to see larger outcomes for our students in the upcoming years and celebrate their successes. To learn more about this wonderful program check out the NextUp website. Check out Auckland Carpet Cleaning by busybees hurry book appointment today.